Industry events are not all about the coffee, scones, or buffet. Often there is valuable insight to be found by engaging with professionals who have a wealth of experience in their respective fields. 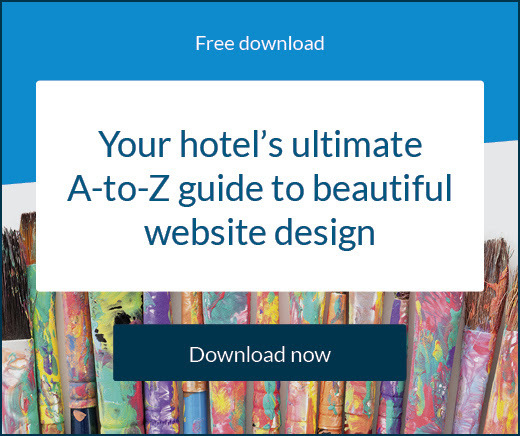 SiteMinder recently attended Maximum Occupancy and discovered many ways hotels can improve their distribution and optimise their booking strategy. Direct bookings are always at the top of a hotelier’s mind. The higher percentage of bookings that come direct through a hotel’s website the better. Investigating the barriers that stop customers booking direct and creating strategies that remove them is a never-ending but necessary battle, according to Triptease. All of these are reasons why hotels are either not pursuing, or not being allowed to pursue direct booking campaigns and foster return business. However, there are methods hotels can use to improve their chances of direct bookings. If a customer does in fact make a direct booking it’s important to reinforce that decision. The first step is by raising the anticipation of the guest for their trip. People like to be excited by the prospect of a holiday; often the period before departure is the most enjoyable feeling of the whole process. A common way of achieving this is to create a consistent and enthusiastic stream of pre-stay communication with your guest, usually via email. This may be as simple as telling them you can’t wait to see them in two weeks, or you might provide them with information about cool things to do while they’re staying at your property. It’s been found that there is a direct correlation between guest satisfaction and direct bookings. Direct bookers are often happier because they’ve made an active choice to stay at your property. This may not always be the case for OTA bookers. This can result in a lack of personal connection and relationships, resulting in poorer reviews. When you get a direct booking you know they’re definitely from your target market and coming in with positive attitudes about your hotel. Commission paid to OTAs are probably the biggest reason hotels look for more direct bookings because they eat into the potential profits of the business. Money saved on direct bookings can be better spent on guest experience and hotel upgrades. Commissions can be reduced by maintaining price parity to save on conversions and keep pricing transparent to debunk the belief OTAs always offer a better deal. 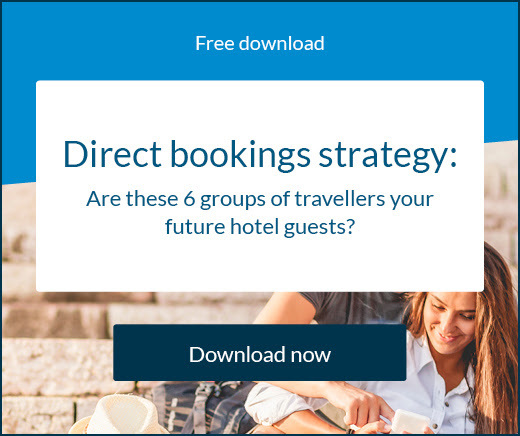 Use some innovation in how you approach your direct booking strategy to entice as many travellers as possible to your website. Building relationships with travellers is a big bullet hotels can fire in the direct booking battle. Using research and creating customer profiles to find common ground and appeal to your target’s interests is vital if you want to encourage direct bookings and build guest loyalty. Be imaginative in the way you engage travellers and always be positive. New technology is sure to be a boon for any purpose you want. Decide what is best for you in progressing your relationship with customers. Services such as live chat or messenger apps might be serious considerations. Anything that enhances your social media or simplifies your booking process is a must. Offering additional services or products to give the customer a ‘shopping cart’ experience is a good tactic even if the guest isn’t interested in purchasing any extras. It gives the sense of professionalism and credibility, and puts your hotel on a competitive level with OTAs who often offer some kind of package deal. Making sure you think of your hotel as more than rooms and beds is always a positive step towards enriching the experience of your guests. The best way to ensure an increase of direct bookings is to boost brand loyalty and create new return customers out of every new traveller who enters your hotel. Make sure your guests and target market are aware of the benefits they’ll receive for booking direct or staying loyal. 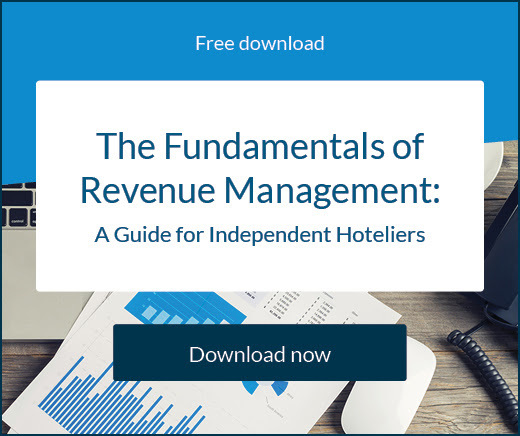 An effective direct booking strategy will diversify the distribution of your hotel and take the pressure off your revenue management for a more prosperous business overall.